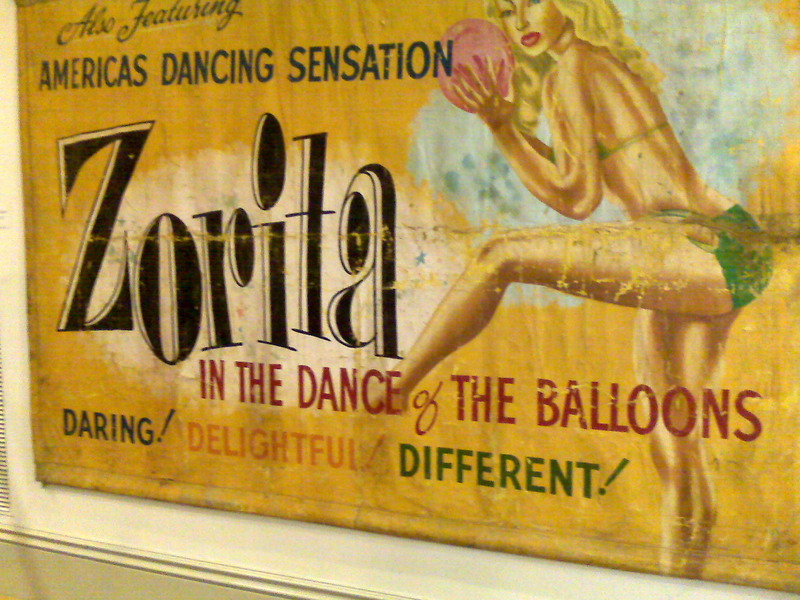 Zorita’s history is no mystery. 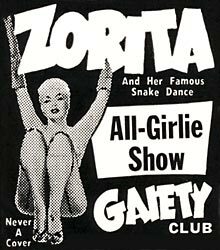 Just Google Zorita, and you’ll find plenty of links to tons of photos, bio info, memories, and articles. Her real name was Kathryn Boyd (1915-2001), according to Streetswing’s ‘Burlesque History’ page on Zorita. Or was it? 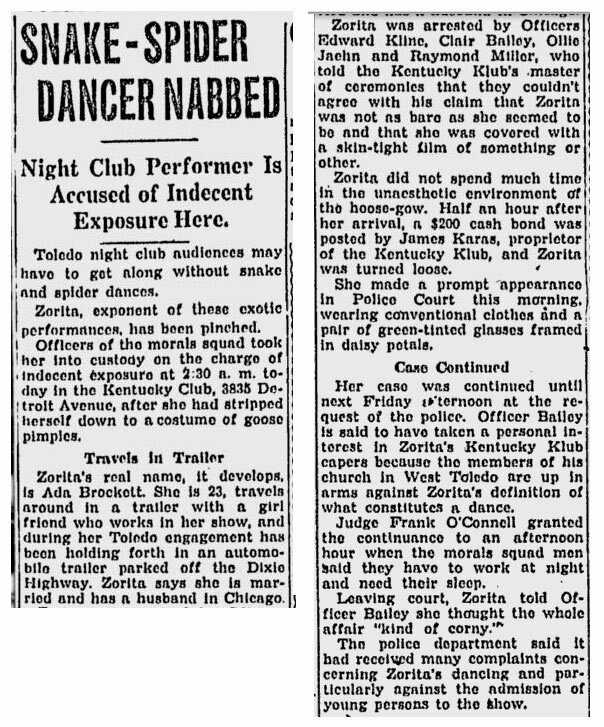 According to a Toledo Blade article, she was Arrested in Toledo Ohio, and her name was revealed to be Ada Brockett. She toured the country, but finally made Florida her home. She was in the news there alot. 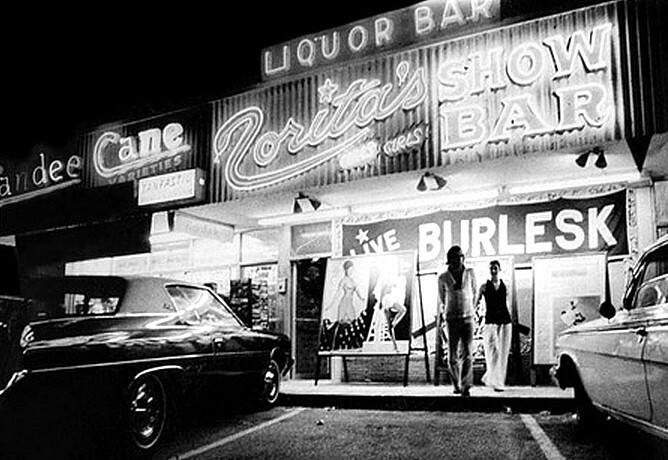 In her later years she owned a few bars in Florida. Zorita died in 2001 at age 85. More bio details and great photos here on Playful Promises / Zorita. Read the Liz Goldwyn interview with Zorita (orig. published on the Velvet Hammer site, which is not there any more) — but you can find it courtesy of the wonderful WAYBACK MACHINE. See several more photos here on Partial Coverage. The Burlesque Factory’s pretty Burlesque history page has a pic and note crediting Zorita’s influence on modern Burlesque routines. Zorita’s IMDB page with full filmography. Lots and lots of vintage Zorita photos on Burleskateer. 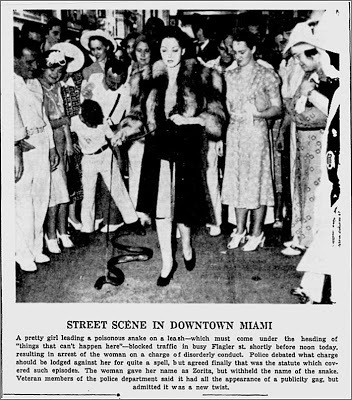 Her routines would contain the use of snakes (Pythons & Boa Constrictors) as a gimmick with her most remembered routine being called “the consummation of the wedding of the snake”. 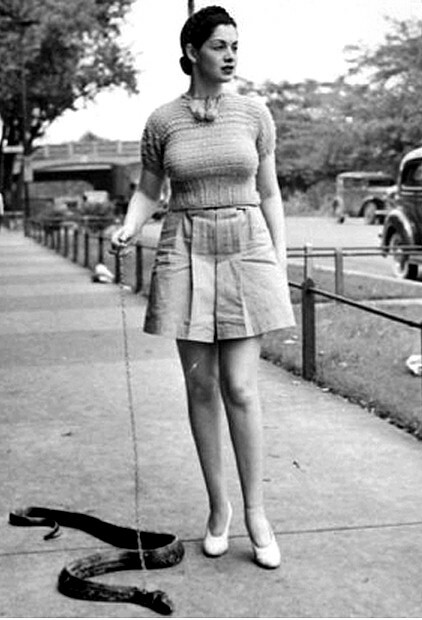 She would even take her snake for a walk – but denied it was a publicity stunt. 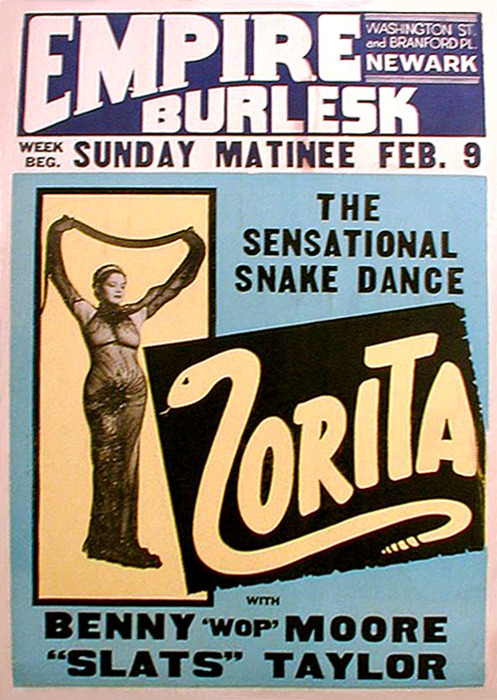 — Read more about Zorita’s snake walking, and some comments from Zorita’s daughter here. Once fined for Indecency in Baltimore — here. She was also known for her 1/2-n-1/2 dance — half man, half woman. Zorita was in 1949’s I MARRIED A SAVAGE — here’s an excerpt from the film synopsis on the Turner Classic Movie site Alas, no copy for sale, but see the You Tube video here — weird wild stuff!! !